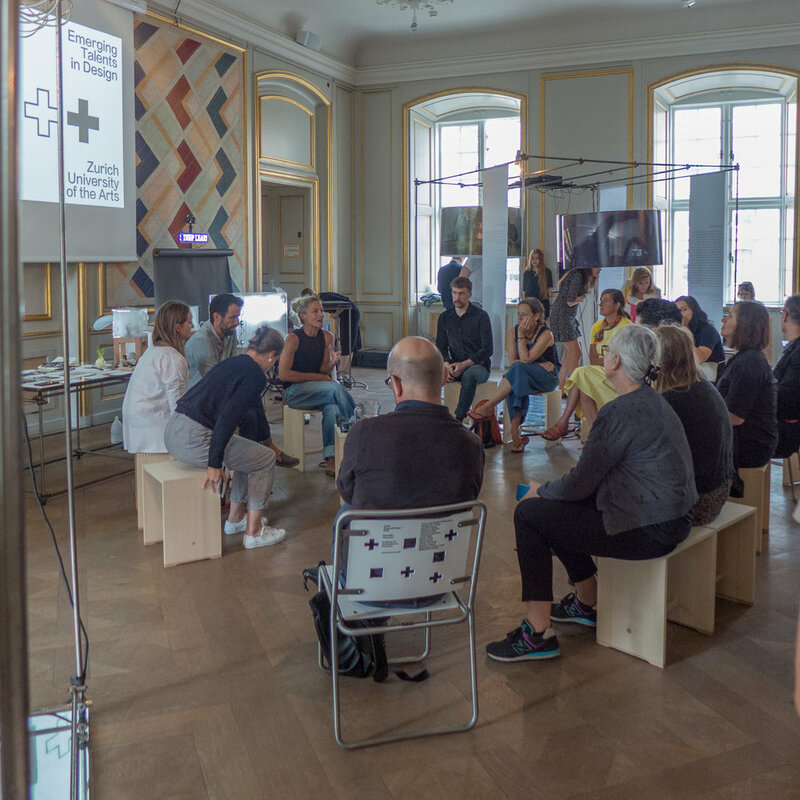 This was an event to show the work of the Department of Design from Zurich University of the Arts with an exhibition in the Festhallen of the museum - the big assembly room over the entrance of the museum - and there was a packed series of talks and discussions through the Friday and Saturday. It was very much about new and emerging talent - the next generation of designers - and covered well-established disciplines such as typography but had a strong focus on design for the computer - virtual models, virtual reality, computer games and apps using GPS to explore a city and its culture - along with political or social aspects of design - so work on how gender is expressed either consciously or unconsciously in the design of products. 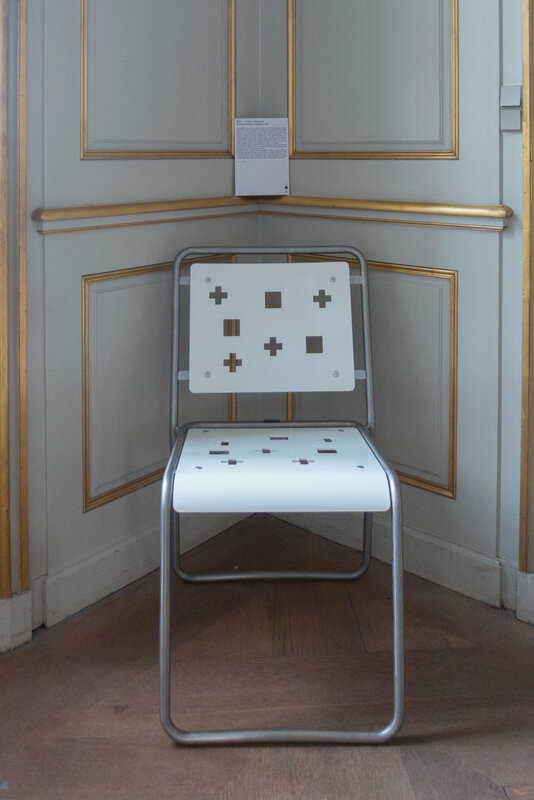 Established Swiss design was represented here by the Ulm Stool by Max Bill from 1954; the Stella Chair and the messenger bag from Freitag that reuse truck tarpaulin. 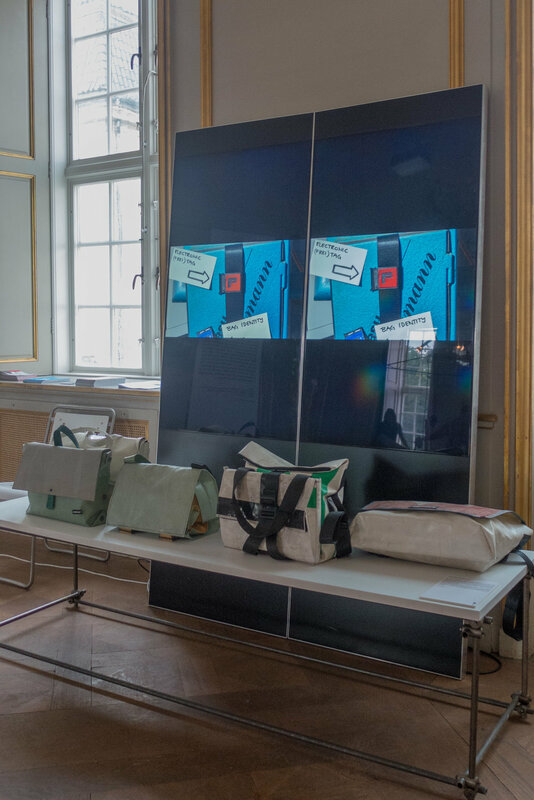 With the bags, Freitag had worked with students to explore new concepts and new forms for the bag and for the event, down in the courtyard, there was a stall where you could design your own bag by moving a Perspex template over a tarpaulin to form the design you liked best. Action! Teaching and Learning for Sustainability has online sites for their symposiums in 2016, 2017 and 2018. These show how design as a training and as a profession has now spread out to involve a much much broader social, environmental and political area. Forty or fifty years ago to call a store a design shop somehow implied that it was special and, by implication, ordinary furniture was somehow not designed and to have 'designer' anything - from jeans to a vase by a named designer - somehow implied, in terms of marketing at least, that this was special - to justify the price tag - but again, insidiously, as if it marked the buyer out for their taste and discernment. Equally typography was the work of a graphic artist or typographer rather than someone calling themselves generally a designer and people declared themselves to be interior designers before they realised that dropping the word interior gave them more freedom to work over a broader range of products. Now the word design seems to be too broad. I'm not suggesting that it has been claimed by too many for too many products … just that it has become too vague. Everything, even badly thought out and badly made furniture or household accessories are actually designed … bad products are not organic or spontaneous and don't appear as if by magic in a container at a port. 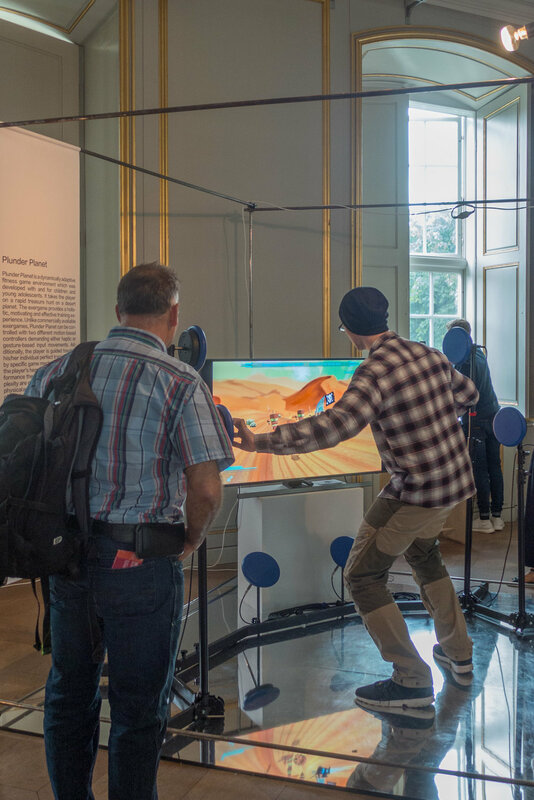 But the Swiss exhibition here shows that really good design, for all aspects of life, can be enhancing and invigorating and crucial to everyone's by making appropriate and sustainable design for the coming decades.